Here’s an idea for the next figurine Formlabs should make with one of its 3D printers: a unicorn. Today, the MIT Media Lab spinout announced it received a $15 million investment from New Enterprise Associates (NEA), bringing the seven-year-old company’s venture capital haul to more than $100 million. 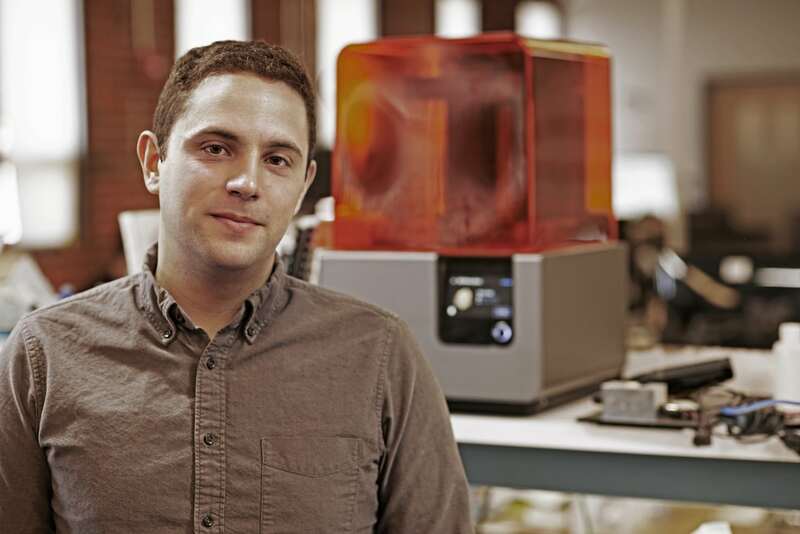 Formlabs says its latest cash infusion puts it in rare company: the Somerville, MA-based company claims its investors now value it at more than $1 billion, making it a so-called “unicorn.” The company declined to share its exact valuation. The $15 million investment in Formlabs, which was led by NEA partner Dayna Grayson, comes nearly four months after the startup announced it raised a $30 million Series C funding round from investors in the U.S., China, and Israel. While some of its competitors have turned to corporate investors, Formlabs has mostly raised funding from venture capital firms. But the company is adding a high-profile manufacturing veteran to its board with the NEA investment: former General Electric CEO and chairman Jeff Immelt. Immelt left the Boston-based manufacturer last year and joined NEA as a venture partner earlier this year. He also sits on Desktop Metal’s board. Under Immelt, GE invested heavily in 3D printing, including via equity investments and acquisitions, as part of a broader strategy to remake GE into a “digital industrial” company. That vision hasn’t paid off, at least in the eyes of Wall Street, and Immelt’s successor, John Flannery, is dismantling GE in a restructuring aimed at simplifying the behemoth corporation and reviving its falling stock price. But 3D printing remains a focus for GE, whose aviation business operates a large 3D printing center filled with 90 of the machines and 300 employees, according to a GE blog post from May. The bigger picture is that manufacturers, engineering firms, and other businesses are using 3D printers more frequently, primarily for producing prototypes of parts and fashioning custom components for factory machines. 3D printers are also getting better at making ready-to-use products. For example, Formlabs’ printers can create custom dental retainers and splints, custom earbuds for headphones, and props for films. Its customers include Boeing, Microsoft, Sony, and New Balance, according to the company’s website. The company says its operations are profitable and it’s on pace to generate more than $100 million in revenue on an annualized basis. It employs more than 500 people worldwide and has been expanding internationally, particularly in China and other markets in the Asia-Pacific region.